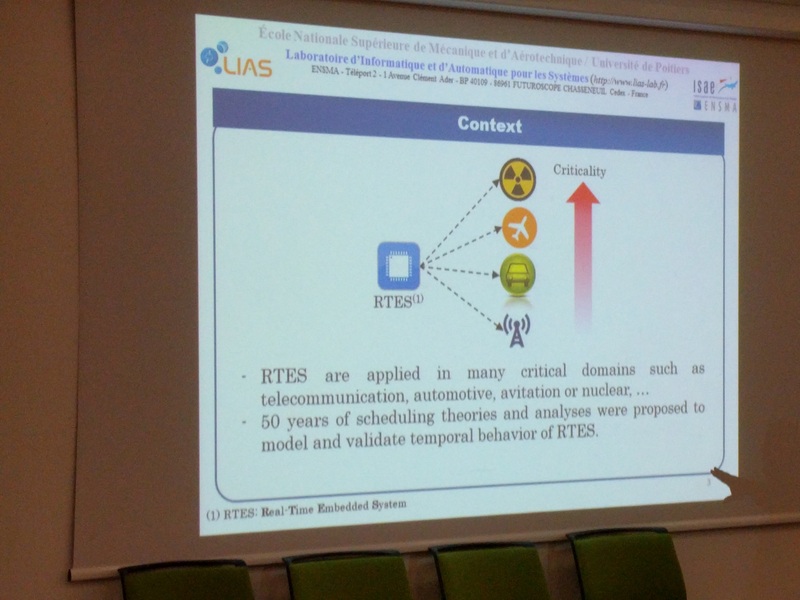 The context of the talk is around the aerospace domain. There are lot’s of models created in this domain, but it is difficult to ensure all models are consistent and whether the thing will work at the end. The idea is to help designers to come from their languages to powerful tools and tests of performance and scheduling theory. Many of these model depend on specific assumptions. Most of the time, most of them are not specified. The wrong choice of scheduling test or analysis leads to wrong analysis results. Given a design, how can you help the designer to pick the right theory? Given the above example, two tools come with completely different results: the first tools says everything is ok, while the other shows that the deadline for task4 is not met. This is due to the fact that the tools use different task models under the hood. 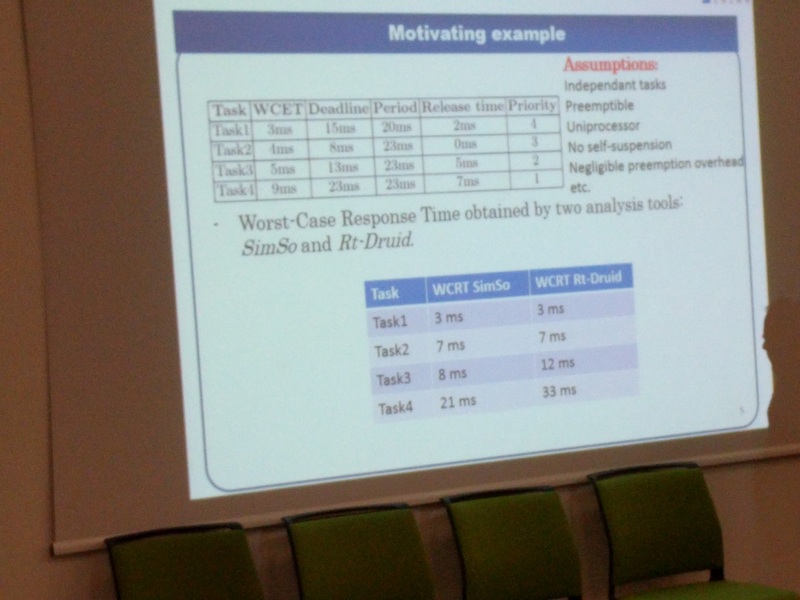 Simso uses simulation, whereas Rt-Druid uses Response Time Analysis. In this case, the latter tool is sufficient, but not necessary. For the former you really need to meet all assumptions, as it is a simulation. This shows the need to formalize the assumptions. To come up with a repository of such tools with their assumptions, they use AADL as input, together with the question: “what is the best model to use?”The repository contains a formalized context with tests that can be run in this context. OCL and LUTE are used to formalize the rules.